If you have not heard it yet, VOIP will probably revolutionise you phone solutions into the future, but what is VOIP and how does it work. Well what does it stand for Voice Over Internet Protocol – basically it means using an internet method of sending your voice as data packets, instead of analogue transmissions. Think it’s all magic, well, not really, Phone companies have been doing it for years with fibre links all over the country, your analogue call went to the telephone exchange over copper, they then transmitted this to the other end via digital over fibre and then back to analogue to connect to the other person. With VOIP, we cut out two of those digital and analogue transitions and just send it digitally over your internet connection. VOIP can use your existing internet connection to add multiple lines. VOIP can leverage Fixed Mobile Convergence be available wherever. We have two solutions at present with a third on the way. If you have a VOIP enabled phone system, or just want one more line for your home or home office, we can provide a VOIP service to meet your needs at prices that will surprise you. Need to take things a little further? We have that covered too with cloud based phone solutions – Great rates and superb features this provides full office style phone solutions in one easy package. Great for companies looking to set up their first or develop their office solution to encompass the modern features. The benefits of the cloud! Cloud based systems are location independant, feature low capital expenditure and are managed for you as an all in one package. By being cloud based and not using a fixed network you are more flexible, you can have home and office workers, mobile staff and even international staff all connected to your phone system with them all live at the same time. Internal calls are free, as you might expect, but with Fixed Mobile Convergence you can reach people wherever they are* on their internal extension number. Disaster management is also covered with optional automatic failover destinations built in, a disaster can be from a mobile user having no internet access, with calls being routed to other devices or users through to complete office isolation where voicemails can be kept, or calls can be diverted to mobile or even another office. Of course you are reliant on our core, so redundant features including; multiple carrier interconnects, dual fibre ring between data centres, hot standby infrastructure, 24 hour monitoring and UK dedicated support. There are no restriction on data connectivity methods you use and there are no constraints on the type of SIP clients you can connect. Pre-configured handsets from the supplier are plug and play for simplicity or use your own if you wish, again, no restrictions. Or, if you want you can use softphones for your phone – it all works seamlessly. Being flexible in today’s markets are key, and the ability to increase or decrease the number of lines can be a massive advantage to customers. BT will at best make you wait 10 days, charge you for install and subject you to a minimum term. With our solution we can have a new extension issued in just minutes, and there are no lengthy tie in periods unlike certain providers, our services are provided on 30 day rolling contract. Low set up costs and with no on-site core equipment needed means there’s no hefty initial investments or ongoing maintenance or upgrade costs. All you need is just an Internet connection and suitable phones. Pricing per user and not per device enables your user to use whatever device they want to, when they want to and even more than one at the same time. Of course you still get free calls between employees wherever they are. If you really want to lower your costs consider SIP. Being a cloud based solution we can provide you with phone solutions in many locations all over, connecting you or your users to the cloud is quick and simple and we partner with your existing IT provider if necessary to ensure systems are in place. In the Peterborough, St Neots and Cambridgeshire or Bedfordshire areas we can provide onsite installs as well. Fixed Mobile Convergence is where your landline and mobile device share the same connection, phone number and supplier – this way people never need hear “I’m sorry, theya re oput of the office but they are available on their mobile” as both devices will ring simultaneously. It’s not about call diversion and calls to mobile either, again, this uses the internet application of your mobile device to connect to your supplier. 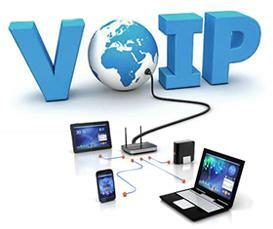 VOIP uses internet connectivity to connect your calls and your phones are reliant on your internet connection. We can quote for FTTC or VDSL lines which we recommend for VOIP calls but a standard ADSL circuit will provide connectivity.